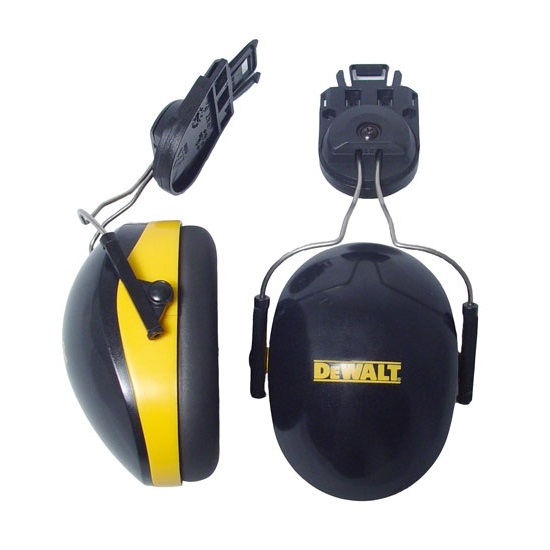 DeWalt Interceptor Hearing Protection Cap Mount Earmuffs Model DPG66 have a noise reduction rating of 26 and fit virtually all slotted hard hats. Universal design that fits virtually all slotted hard hats. Foam filled, padded earcups fits securely and comfortably over the ear. NRR 26 provides excellent noise reduction rating combined with head protection. 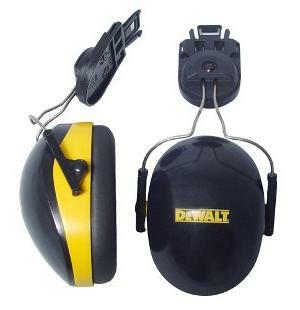 Lightweight, durable construction offers maximum head protection.